God has done so much in my life, and I am sure in yours as well. Sometimes I have difficulty finding the words to express my worship and adoration, especially in prayer. How do I fully express gratitude to the One True God for His abundant blessings? In times of distress, what do I say to convey my pain? When I am down to my last ounce of strength, how do I communicate my need to my Father? One of the most significant sources of words for praise, worship, thanksgiving, and need comes from the book of Psalms. 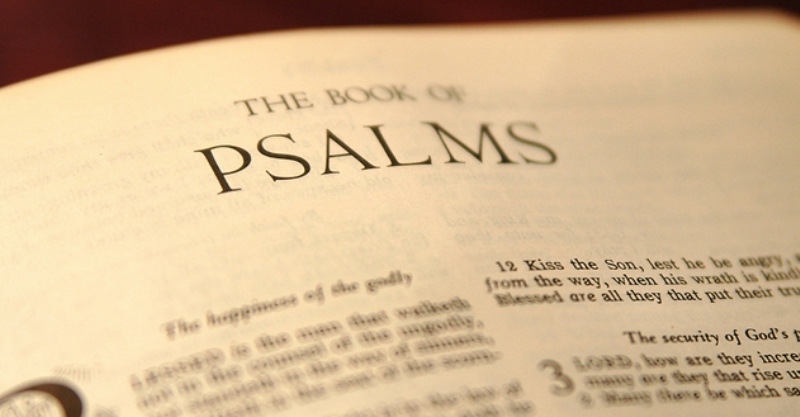 The book of Psalms is one of only two books in the Bible constructed as a compilation. The second is Proverbs. Musical instruments often accompanied the psalms, making them the hymns of God’s people. Jesus sang psalms with His disciples on the night before His death. Psalms were sung regularly by the congregation and lifted up by individuals in adoration and intercession. Just as the Israelites prayed the psalms, we can also use them regularly to worship God and to bolster our prayers. There are several ways to use psalms in our prayers. Start by reading a psalm through and meditating on its purpose. Consider whether the psalm is meant as worship, thanksgiving, or is a lament of sorrow, or a cry for deliverance. Then, make the words your words. Try inserting your name to create a personal psalm. No matter your situation, there is a psalm for every need. David wrote this psalm for the dedication of his palace, and yet there is no reference to the structure; only praise for all God had done. David invites the congregation to join him in this praise, and he invites us as well. Use this psalm in prayer to give thanks for God’s patience and His faithfulness. Although we suffer pain as consequences for our sin, as David did, it will be brief compared to the joy on the horizon. Sometimes evil abounds in our midst. We may not understand why evil people prosper and we struggle. Praying the words of this psalm reminds us that God is faithful and we should trust Him to bring justice. In the meantime, we continue doing good and delighting in the truth of His love. This psalm reminds us of God’s faithfulness to be our help and our Deliverer. When we are in despair and see no way for the future, praying this psalm encourages us to trust in the Lord and be assured that He hears our prayers and requests. The first words of this psalm declare God’s protection. He is a refuge and fortress. No matter what happens God is in control. Praying this psalm for the times when we fear gives us hope to endure because we know in the end He will be exalted. All we have to do is be still and expect Him to move. You can pray this psalm when the world feels overwhelming. When the world feels heavy, and your burdens are many, this psalm stresses God’s strength and protection. Giving God our cares and trusting in His protection keeps us from being tossed back and forth between fear and anxiety. We can stand firm no matter the situation and not be moved. David is the author of this psalm although his circumstances are unclear. He always had reason to give praise. David is not saying here that he could bless God but that it honors and blesses God when we praise Him with everything we have. Just like David, we have so many reasons to glorify God. Try praying this entire psalm as worship for everything God does in our lives. This psalm refers to God’s loyal covenant love, or mercy. The verses that follow in this psalm retell the details of God’s disobedient people and how He had mercy on them. They wandered and often forgot whose they were. They worshiped idols and turned against God’s will. We can probably say the same. Nevertheless, He heard their cry and He hears ours. To pray this psalm reminds us of God’s unfailing love and mercy even though we stray from His will and protection. We know God answers prayers and the psalmist here gives thanks and gratitude for all he has received through answered prayer. Near death, according to the psalm, he cried out, and God heard and he was saved. Lifting up this psalm in prayer gives thanks to God for answered prayers and reminds us of His faithfulness. This psalm is the longest chapter in the Bible and focuses almost entirely on God’s word, referred to as a “lamp unto my feet.” Scripture is a central part of every Christian’s life and praying this psalm, even in part, gives us an opportunity to give thanks for God’s word. Written by David, this psalm reminds us that God is everywhere and that He created us exactly to be who we are. Consider the miracle of the human body or the splendor of creation. Each part of our bodies works together perfectly by design. The only response to knowing the Creator specifically made us is worship and adoration. These are only a few psalms you can pray regularly. There are 150 psalms containing over 2,500 verses written by David, Moses, Solomon and many unnamed saints. I urge you to explore the Psalms and find the words for your prayers in the songs of God’s people.